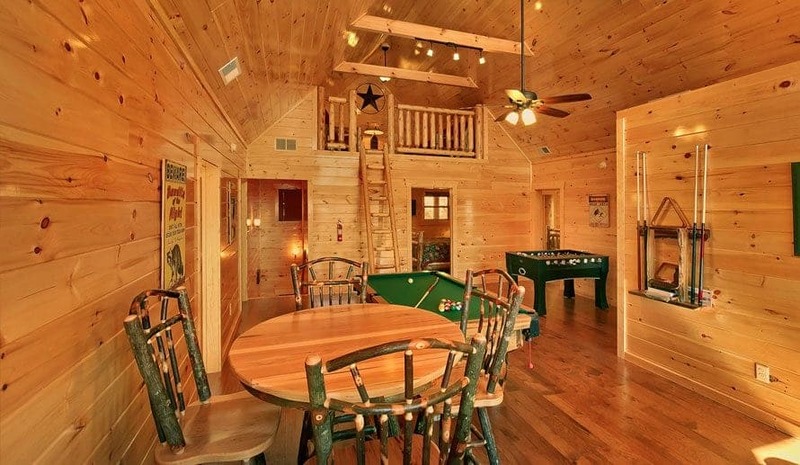 Large Cabin Rentals will be doing a sweepstakes to promote the opening of our newest large cabin, King of The Mountain, that will be the largest cabin rental in America by the number of people that it will sleep. The property will open in May 2017 and the prize winners will be some of the first people to stay in this cabin. Large Cabin Rentals, and our partners in this sweepstakes, will promote it equally on our Facebook pages and other social media channels. Each partner will have a link they will use on their social media channels that will direct them to a webpage made especially for this promotion. Visitors will be asked to fill out a form to enter to win. At the end of the promotion, each partner will receive a CSV file of all entries to use for marketing. Hearthside Cabin Rentals will also post a legal set of Sweepstakes Rules designed for this particular promotion. The process: we will use our social media channels to promote and share this once-in-a-lifetime giveaway for a period of 14 days from September 12-25, 2016. The visitor will click on the link shared on social media channels and land on a landing page specific for this promotion. They will then fill out the entry form and they are now entered to win. If they share their post with friends, they double their chances of winning. The winner will be announced on September 26, 2016. By the end of October 1, 2016, every partner will be sent all data from each entry in a CSV file for marketing use. Winner will receive 4 nights in the “King of the Mountain” cabin for May 3, 4, 5 and 6, 2017. The value of the 4 night stay in the cabin alone is over $12,000. They will also receive 36 tickets to each participant’s attraction or venue. The value will be over $20,000. We will run this promotion for 2 weeks in September, beginning on the 12th and ending on the 25th. We will promote the winner throughout the year with all the attractions that are part of their prize. Our goal is to reach over 2 million people and receive over 20,000 entries. This is going to be great for our market, you (our partner) and also the lucky winner of this amazing giveaway. Exposure to over 2 million people who have been to or coming to the Smoky Mountains. You will also receive all the data collected from every entry. If we reach or exceed our goal, this would be over 20,000 email leads for your email marketing database. For questions, please contact Jimbo Whaley at jimbo@hearthsidecabinrentals.com or 865-766-9595.